These are some good cookies. I wanted to try out a new recipe to take to South Carolina last weekend to visit my family, and these seemed like the perfect fit. 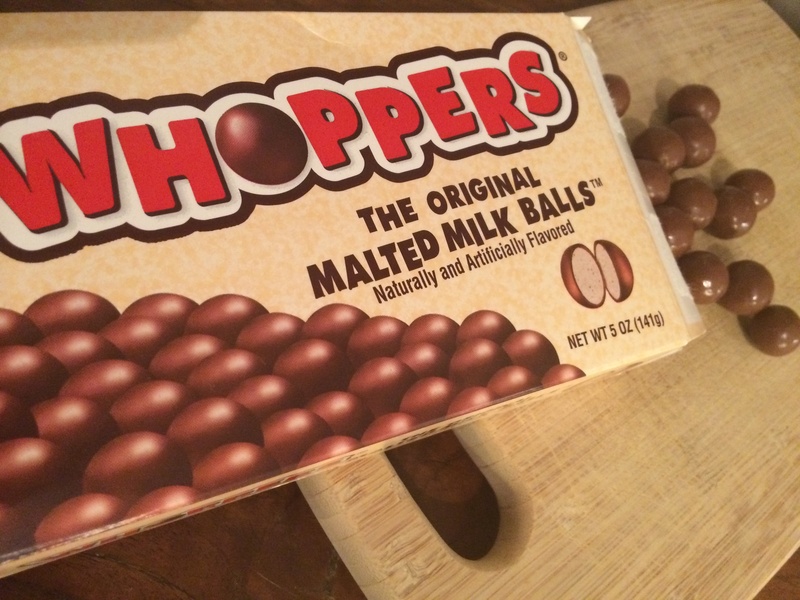 As a kid, my sister went through a stage where she loved Whoppers, so for some reason these just felt right. Even better than these tasty treats, though, was getting to spend time with my wonderful family over the weekend. My parents were able to come up from Atlanta, so it was a fun little Swindle family reunion hosted by my sister and brother-in-law. We had the best time exploring Columbia’s farmer’s market, trying out a couple of great restaurants, seeing Gravity in 3D, and most of all just being together. Preheat the oven to 350 degrees and line a baking sheet (or two) with parchment paper or your trusty Silpat. In a large bowl, whisk flour, malted milk powder, cornstarch, baking soda, and sea salt together. Set aside. In a mixing bowl, cream together butter and both kinds of sugar until smooth and creamy (about 3 minutes). Add egg and vanilla and mix until combined. Stir in the chocolate chips and chopped Whoppers. 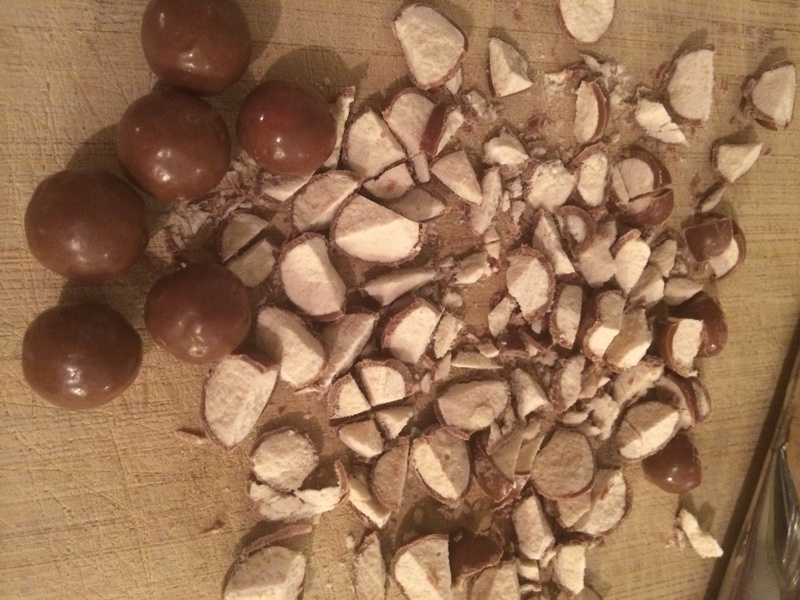 Form cookie dough into tablespoon balls and place on prepared baking sheet, about 2 inches apart. 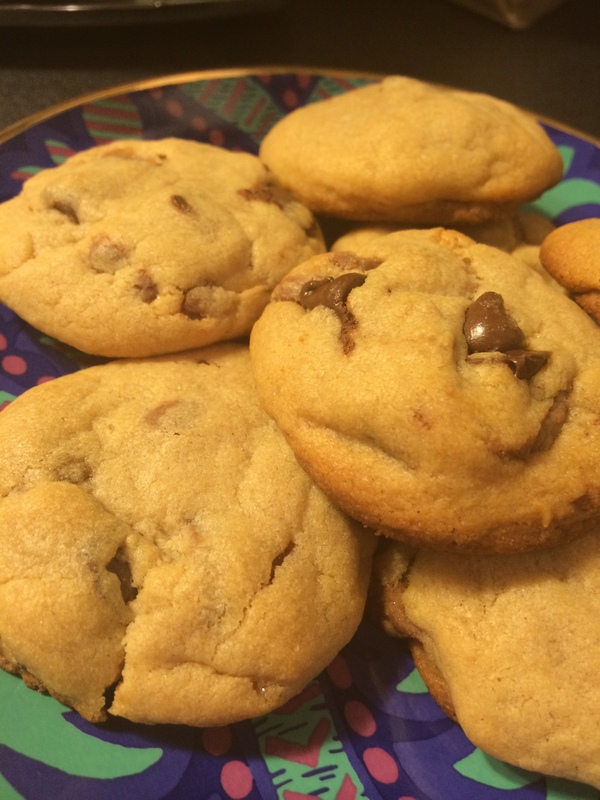 Bake at 350 degrees for 8-10 minutes, or until the edges of the cookies begin to turn slightly golden brown. 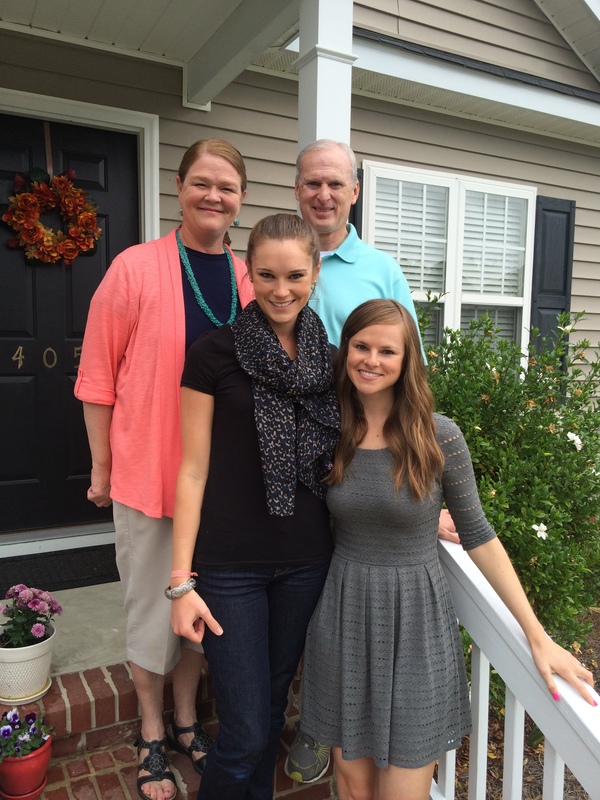 I’m so lucky to be a part of such an amazing family, and can’t wait until we all get to hang out again!